Rena, Precis and Celine from Star Ocean 2. 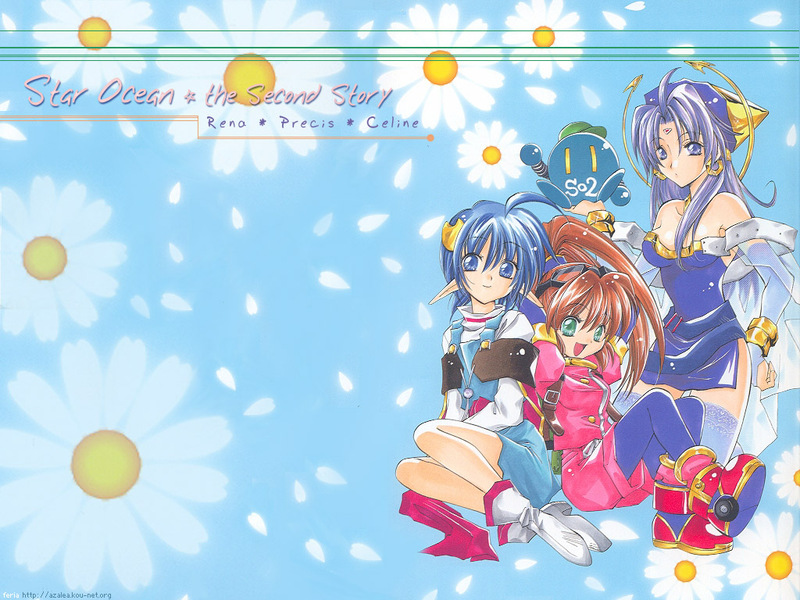 ^_^ The image was taken from the "Second Treasure" artbook by Mayumi Azuma. Love the cute flower background decorations as well. I love this pic.I've seen this pic a couple of times.The background is awesome it goes well with the girls. i wish the manga would come to the us.